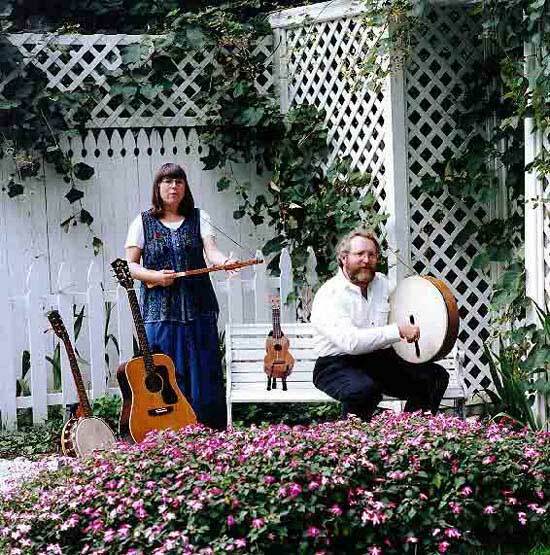 Known throughout the Northeast as solo artists (folksingers, storytellers, and multi-instrumentalists), for over twenty years, the husband and wife team of Tom Callinan and Ann Shapiro have toured their entertaining and informative participatory programs for audiences of all ages as a duo since 1982. They co-manage Crackerbarrel Entertainments, providing enrichment programming for audiences as diverse as nursery schools through nursing homes. Whether appearing as solo artists or as their duo, they blend their extensive repertoire of songs, which spans many centuries, with an impressive array of musical instruments for the wind, string, and percussion families. Their warm and inviting style quickly involves their audiences with catchy choruses and other forms of participation. Theirs is family entertainment for all ages. Tom and Ann make singing-along, hand clapping and toe-tapping irresistible. Their repertoire spans traditional, contemporary, and original folk songs, including camp songs and play party games for young audiences, and Gay 90's songs and novelty selections for seniors. Callinan and Shapiro have recorded five albums as a duo, and many others as solo artists and in varying combinations with other performers.